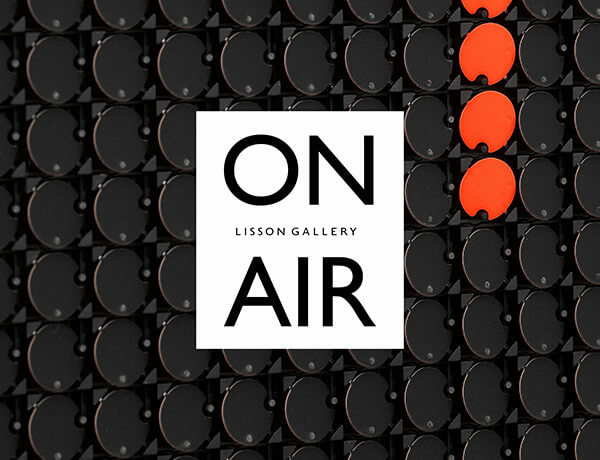 Contextualised under the umbrella of 'Lisson Presents...', a special programme of curated exhibitions and projects presented during Lisson Gallery's 50th year, ON AIR is a series of podcasts that will be broadcast via SoundCloud and available through Lisson Gallery's website. The podcast will mostly be recorded from the gallery's London location. Episodes will include readings and contributions from gallery artists, as well as engagement with Lisson's extensive archive. ON AIR is a platform with which to engage and disseminate other aspects of gallery artists' output, whether through music, poetry, creative writing, radio plays and composition. "After talking with Hana Noorali, curator of 'Lisson Presents...', on 11 July 2017, I was thinking further about the contingencies of conversation – the casual, the formal, the foregrounding and the the backgrounding – trying to depress the proclamatory… A few weeks later I can imagine discussing the Partition of India, precisely three months before my birth, the approaching invention of the transistor by Shockley’s team and what Giacometti was up to in his Paris atelier…. We say what we say when we say it."